When you sign in with Slack you add Statsbot to your Slack team and your Slack team members could see data and work in Statsbot. 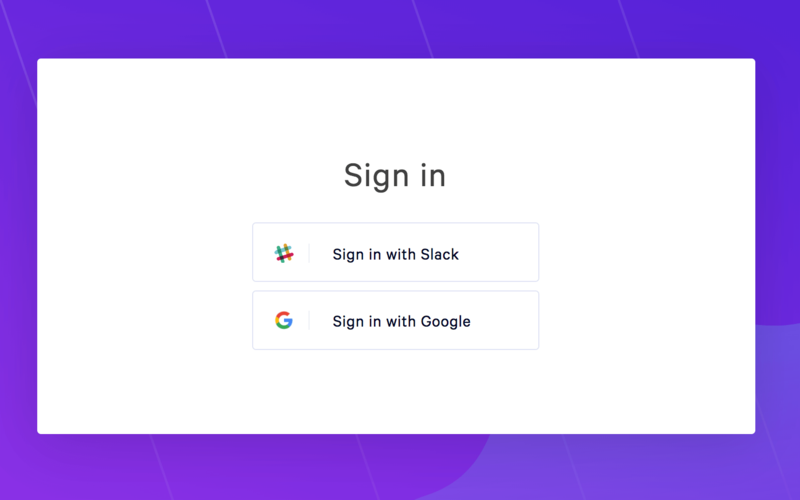 Thus, you are creating account with Slack and all your team members who need to sign in to the same account should use Sign in with Slack option. Signing in with Slack also allows your team to get notifications in Slack such as scheduled reports, alerts, streams and goals. When you sign in with Google, you create web-only separate account and all team members could be only invited by email. Signing in with Google is the best fit for teams that don't use Slack, but would like to get ad-hoc reports and build dashboards.